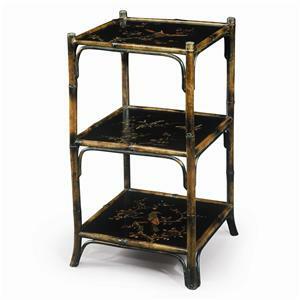 Create a traditional atmosphere in your home's decor with this elegant and traditionally styled antiqued wood three tier etagere. Each tier features galleried and reeded edges. The baluster turned supports create a stylish statement while turned peg legs add traditional charm. 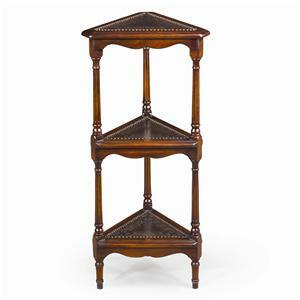 The two lower tiers boast endless display possibilities for your decorative accent accessories or personal treasures. Use the spacious top surface to hold a lamp or framed photographs of loved ones for a personal touch. 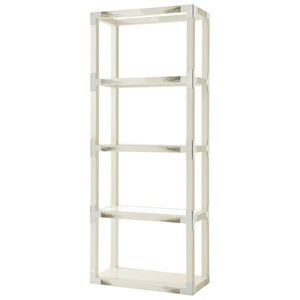 Enhance your home with the elegance of this open shelf bookcase! 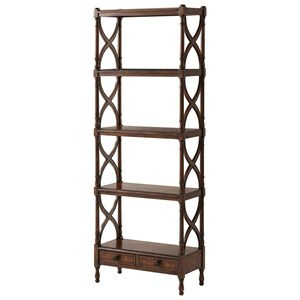 The Bookcases Antiqued Wood 3 Tier Etagere Display Bookcase by Theodore Alexander at Stuckey Furniture in the Mt. Pleasant and Stuckey, South Carolina area. Product availability may vary. Contact us for the most current availability on this product. Construction: Case Constructed of the finest materials, each piece is the embodiment of traditional craftsmanship and design for quality and beauty for your home. 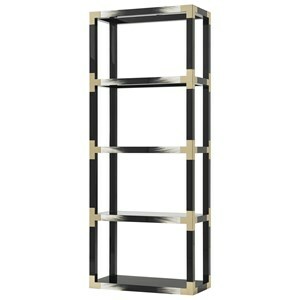 Featuring a mix of design styles, this collection offers an array of traditional open, closed and combination bookcases for your home office, living room or den use. Design features such as glazed doors, eglomise, glass shelves, and brass engravings are sure to enhance your home's decor with traditional charm and style. Storage is offered in the form of shelves, drawers and storage cabinets for the the storage and display of prized tomes, personal treasures and decorative accent accessories. 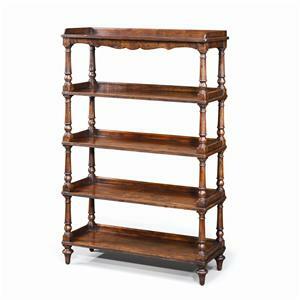 From Victorian to Eastern influences, you'll be sure to find a bookcase from this electric mix to create a upscale and traditional atmosphere in your home. 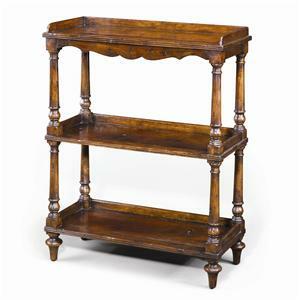 The Bookcases collection is a great option if you are looking for Traditional furniture in the Mt. Pleasant and Stuckey, South Carolina area. 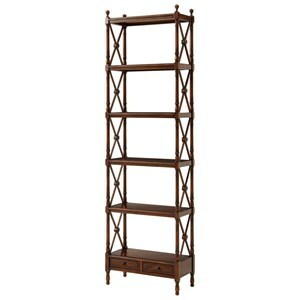 Browse other items in the Bookcases collection from Stuckey Furniture in the Mt. Pleasant and Stuckey, South Carolina area.